Singh decided to fight back. Two years later, the British Chiropractic Association has received a great deal more public scrutiny than it bargained for, while Singh and his predicament have become the cause célèbre of a rapidly growing movement to reform England’s notorious libel law. London’s status as “Libel Capital of the World “ has begun to teeter. When the BCA objected, The Guardian offered to make space available for a rebuttal -- if there was “a jot of evidence,” the BCA could present it. Instead, the organization declined the offer and sued the writer. At the time, Singh was promoting his new book, Trick or Treatment: Alternative Medicine on Trial, which he co-wrote with Edzard Ernst. Several of his earlier books were international bestsellers, including Big Bang: The Origin of the Universe, and Fermat’s Last Theorem, which was published in America as Fermat’s Enigma: The Epic Quest to Solve the World’s Greatest Mathematical Problem. The commercial success of Singh’s books enabled him to absorb the enormous expense of fighting a case in the British libel courts. Singh was dealt a serious setback in a preliminary hearing last May, when a judge ruled that the writer’s phrase “happily promotes bogus treatments” amounted to a factual claim that the BCA was intentionally dishonest – an interpretation of meaning which Singh flatly denied. Singh appealed the decision, and last Thursday, in a ruling that may prove to be a watershed, not only in Singh’s case but in the larger struggle for libel reform, the England and Wales Court of Appeal reversed the lower court judge’s decision and cleared the way for Singh to use a “fair comment” clause in his defense. In the days following last week’s landmark decision, we talked with Singh by email. OPEN CULTURE: Congratulations on your victory in the Court of Appeal. How do you feel? SIMON SINGH: I am delighted that the Court of Appeal has backed my interpretation of my own article, namely that the British Chiropractic Association is reckless, but not dishonest. I will still have to defend my article at trial, but I will be defending something I meant to write, as opposed to an extreme accusation that never existed in the first place. Although this is a big step forward for me, there is still a long way to go on libel reform in the UK. English libel laws are the worst in the free world, and they need radical reform so that other scientists and journalists do not find themselves in my position next year. OPEN CULTURE: What happens next? SIMON SINGH: I think the British Chiropractic Association is in a difficult position, but it has three choices. First, it could take the case to trial, which is fine by me because I would relish the opportunity to discuss my article in a courtroom. Second, it could appeal last week’s decision and go to the Supreme Court, but again this is fine by me because I would relish the opportunity to discuss my article in such an elevated forum. Third, it could abandon the case, but the BCA would have to pay my costs before being allowed to walk away. OPEN CULTURE: Those costs have been considerable, haven’t they? SIMON SINGH: I estimate that in my case both parties have run up bills of over £300,000, of which £200,000 has been spent establishing the meaning. OPEN CULTURE: The Appeal Court ruling quotes Milton on the imprisonment of Galileo, and warns that under current law the court is invited to become “an Orwellian ministry of truth.” Do you think the tide is turning in favor of libel reform? SIMON SINGH: I think the Appeal Court judges were sending a clear message that they are unhappy with libel law, which should encourage politicians to act radically on libel reform. All the main parties seem keen to reform our libel laws, but this is not yet in the manifestos of the two main parties. I think the pressure from campaigners, the public and the legal profession will ultimately encourage the next government to reform libel, but we have to maintain the pressure. OPEN CULTURE: What makes English libel law so onerous? SIMON SINGH: There is so much wrong with English libel law that it is hard to know where to start. It is horrendously expensive, which forces writers to back down even if they are right, because they cannot afford to defend their writing. It has been estimated that an English libel trial can easily cost over £1 million, and this is over 100 times more than the cost of an average libel case in mainland Europe. Second, there is the problem that large corporations can sue lone scientists, journalists and bloggers, which again forces them to back down because they are up against such powerful and rich organizations. Third, the burden of proof is uneven, because writers are assumed to be guilty until proven innocent. Fourth, there is no so-called robust public interest defense, namely something that would protect writers commenting on important issues. The law should encourage such debate, not silence it. Finally, there is a problem of libel tourism, whereby overseas companies sue overseas writers in London because they know that English libel law is hostile to journalists. OPEN CULTURE: Why should this concern someone living away from the British Isles? SIMON SINGH: The issue of libel tourism means that everyone in the world should be scared of the English libel law. If you write anywhere in the world about a billionaire, then the London court can probably claim jurisdiction because the material can probably be read in England over the internet and billionaires typically have business interests in England so they can claim to have a reputation in England. There are many cases of libel tourism, such as Saudi billionaires suing an American journalist, a U.S. company suing a Danish researcher, an Israeli technology company threatening to sue a paper written by a Swedish professor, a Tunisian man suing a German newspaper, an Icelandic bank suing a Danish newspaper, and so on – all these cases ended up in London, the libel capital of the world. OPEN CULTURE: Libel law affects all forms of journalism and free expression, but the British scientific community has been especially outspoken on this issue. Richard Dawkins for example gave a high-profile speech on the problem. Why are scientists, in particular, so up in arms? SIMON SINGH: I think scientists are at the forefront of the campaign for libel reform because science can only progress through open discussion and robust debate and criticism. I think the public accepts that libel is important for protecting the reputation of individuals, but they now realize that there must be a problem when libel blocks scientific discussion. In addition to my case, in the last year we have seen the science journalist Ben Goldacre, the cardiologist Peter Wilmshurst, the Swedish linguist Professor Lacerda and the Danish medical researcher Henrik Thomsen all being sued for libel in London. The libel laws block our right to discuss scientific ideas, but they also block the public’s right to hear these ideas. OPEN CULTURE: With everything that has happened, have you been able to carry on with your work as a writer? Are you writing a new book? 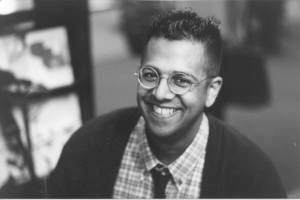 SIMON SINGH: As well as the legal costs, I have also lost out because my income has been seriously damaged by my inability to write. I should be writing a new book now, but I cannot even submit a book proposal because I don’t know if I would ever be able to deliver it. Right now I am spending the majority of my time on my own legal case, and devoting any spare time to the campaign for libel reform. OPEN CULTURE: Are you working with any organizations to bring about reform? SIMON SINGH: I am working closely with three charities (Sense About Science, English PEN and Index on Censorship), who have formed the Libel Reform Coalition. We have a petition for libel reform and we welcome signatories from around the world, because English libel law affects writers all over the globe. I hope that readers will add their names to the petition at www.libelreform.org/sign -- I have spent over a million minutes of my life defending my article and my right to free speech, so I hope readers will take one minute to show their support. This article was contributed by Mike Springer, a journalist in Cambridge, Massachusetts. Interesting and informative interview; thank you for posting it. Love Simon’s line about the BCA having to pay his costs. Too bloody right they should! Science, public debate and indeed journalism is not about keeping corporations’ reputations in cotton wool, it’s about truth and discussion. Forbid open discussion and proper progress is strangled. It’s disgraceful and mortifying that our laws are being abused all over the world, extending this power imbalance, and stifling not only free thought but sense and safety. I’ve already bought one of your books as a present for someone, Simon, and more are on my birthday list, both because they’re good AND to make my contribution to your sacrifice! In Google Reader, I’m seeing a “Find a Chiropracter” ad with this post.